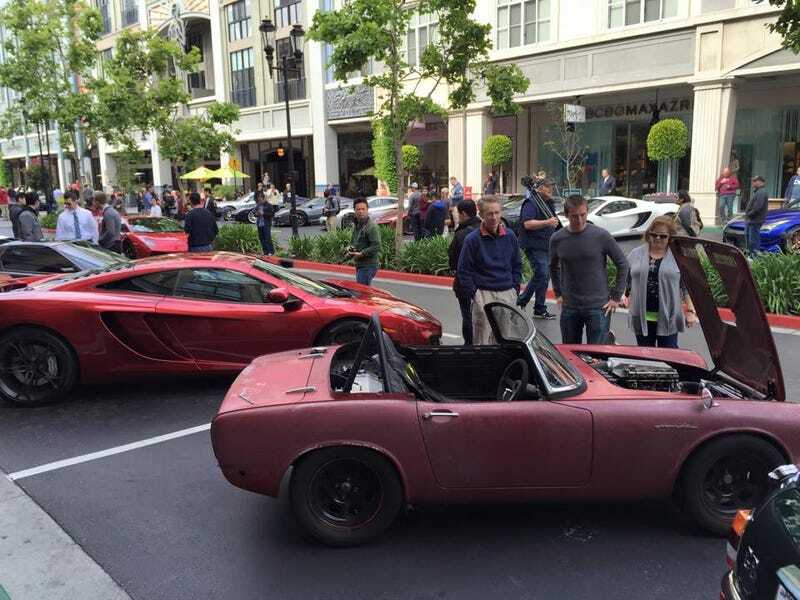 Shortly after I moved to the Bay Area, I started looking for car events and came across the local Cars & Croissants at Santana Row. I knew Santana Row was a swanky, upscale shopping area, but figured my rusted old car would be welcome. I showed up, exhaust popping, and one of the guys directing traffic asked: “What is that! ?” I said, “It’s a 1964 Honda with a motorcycle engine, can I park it here?” He waved me in and I parked it, noticing that almost every car was a fancy Mclaren, Ferrari, or some other well-into-6-figures machine. I thought, man, I’m not supposed to be here, but over the course of the next few hours, I had more people come up to look at my car and talk to me than any other car there. The car culture in Silicon Valley is flooded with dot-com millionaires with look-at-me machines, but I found a lot of real gear-heads there, and later at other, less hoity-toity, car meets.